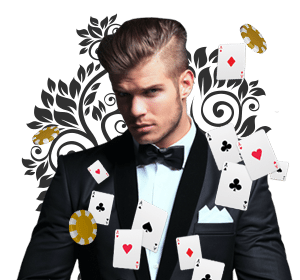 What is a live casino | PoundSlots Casino Site - £200 Deposit Bonus! Over the last few years live casinos have been taking over the online world with around 50% of online players now choosing to play live casino games. This number is only increasing too and if you’re one of the few people left looking to learn all about this wonderful world then you’ve come to the right place as we’ll give you a full breakdown right now of what a live casino is and what you need to do to play at them! In its most basic form a live casino is simply a way for you to get all the same sights, sounds, and excitement as a regular casino, except with the choice to choose where you get it from. How this works is through the live streaming media which has come a long way over the last few years. Live Streaming has become one of the most popular ways for people around the world to take in their favourite media content with millions upon millions of people tuning in each and every day to watch their favourite livestream content. This has meant that an incredible amount of money has been invested to improve the technology ironing out all the creases it may have had at the start. As far as casino players are concerned this now means you can watch a live feed of an actual casino where you can see and hear everything that’s going on at that casino whether it’s the sound of the dealer talking, the roulette wheel spinning, or just the sound of a card hitting the felt. This is all shown in real time too so what you see on the screen is what’s actually happening in that casino there and then with no delay. What this has also meant is that along with getting that vibrant casino feel to your games you’re also able to chat along with the dealer as you play which creates a more interactive gaming experience than ever before. When you enter a message to the dealer who you’re playing with they’re able to see what you’ve written right away and can talk back to you instantly which should add another dimension to your gaming experience. Due to the improvements in live streaming technology over the last few years live casinos are now able to offer their games with high definition graphics which are lag free creating the ultimate gaming environment! While this may sound like a little bit of a complicated gaming platform the truth is that couldn’t be any further from the truth as live casinos have made their platforms incredible easy to navigate and intuitive to use so not only will you be able to find the games you’re looking for with ease, you’ll also be able to play them with ease too! There’s a seemingly never ending supply of online and mobile casinos out there nowadays and pretty much every single one has their own live casino section so that means you have a lot of places to choose from. 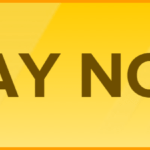 Our recommendation however would be to look for a site which offers their players a no deposit bonus to get started as this is the perfect way for you to play your favourite live casino games and get used to how everything works in a real money environment without having to pay a penny for the experience yourself. Not only that but if you come up a winner by the end you’ll also get to walk away with some free cash so it’s a double whammy if you ask us! After you’ve come to your decision on where to play if you’ve took a no deposit bonus you’re ready to play otherwise you’ll need to make a deposit. Then you’ll want to click on the “live casino” tab on the homepage as this will take you to all the live casino tables they have available. The amount of tables these live casinos have can normally come as a bit of a shock to new players as you can sometimes have a choice of up to 40 or more tables on a single site! A lot of these tables you will recognise as they’ll be the main games of Roulette, Blackjack, and Poker however you’ll also notice there’s a bunch of variations of these games as well as some of the lesser known games like Craps, Baccarat, and Sic Bo floating around too. The live casino lobby with have a search feature on the side though to help you find what you’re looking for and if you notice there’s multiple tables all offering the same game at the same stakes you’ll find they’re ran by different dealers so just click on the one you fancy to get started. Once you’ve made your selection the livestream of that dealer and table will begin and along with those two you’ll also notice a stack of chips which is what you’ll be using to bet with. Unlike the dealer and table these chips are virtual and by clicking once on a chip and then once more somewhere on the betting table you’ll pick up that chip and place it where you clicked. This is how the betting is done at live casinos and you’ll see there’s an account balance and the bottom of the screen letting you know how much you’ve got to bet with. When it comes to games that require you to make a decision such as live Blackjack when it gets to your turn your available options will appear on the screen and you only need to select the move you’d like to make for the dealer to do it. At the end of the hand if you come up a winner your account will immediately be topped up ready for you to play the next round. 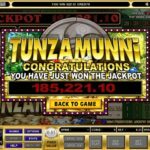 Describing in words just how vibrant and exciting live casino’s are will never do them any justice as they really are above and beyond one of the best ways to do your gaming nowadays so our only advice would be you find a no deposit bonus and check out all these fantastic games for yourself!